It’s estimated that nearly 7% of all adults in the United States have at least one episode of major depression and that 18% suffer from anxiety. 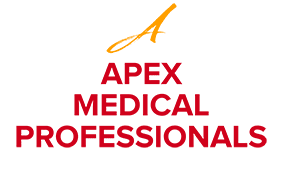 Walid Elkhalili, MD, and the team at Apex Medical Professionals specialize in treating all health conditions that affect adults, including problems like anxiety and depression. If you have a question or would like to schedule an appointment, call the office in Fair Lawn, New Jersey, or use the online booking feature. The everyday blues are so common that many people tend to think that all types of depression will go away on their own. However, ongoing depression is due to an imbalance in brain chemicals, which is a problem that requires medical treatment. If you experience any of these symptoms for two weeks or longer, it’s a sign you may need medical care at Apex Medical Professionals. When should I seek help for anxiety? You can’t go through life without feeling some anxiety, whether it’s worry over the first day of a new job, frustration due to a traffic jam, or fear before speaking in public. However, normal anxiety should go away when the event that triggered the feeling is over. Anxiety that persists often needs medical attention to help you overcome the problem. It’s important not to let anxiety persist too long because it’s dangerous for your health. When levels of the stress hormone cortisol stay higher than normal, it can cause many serious problems, from weight gain to cardiovascular disease. When your symptoms are ongoing or become severe enough to interrupt your normal daily routine, it’s time to seek medical care. What treatment might I receive for anxiety and depression? The team at Apex Medical Professionals provides medical care for anxiety and depression. They prescribe medications that relieve your symptoms by balancing brain chemicals, then they provide ongoing medication management, monitoring your response to the medication and adjusting your prescription as needed. In addition to medical care, the team at Apex Medical Professionals helps you make dietary adjustments. Certain nutrients are needed to synthesize the brain chemicals that maintain your mood. Often making just a small change in your diet can improve your mood. When symptoms of depression or anxiety won’t go away, call Apex Medical Professionals or book an appointment online.